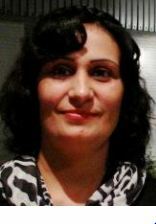 Bakhtari holds a bachelor degree in journalism and a Master degree in Persian Language and Literature from Kabul University. In 2002, she was accredited as lecturer in the faculty of journalism in Kabul University. She is Afghanistan's youngest envoy, in addition for the time being the only female ambassador. She is married to Naser Hotaki. They have three daughters Maryam Hotaki, Nosheen Hotaki and Parnian Hotaki and a son, Mustafa Kamal Hotaki.